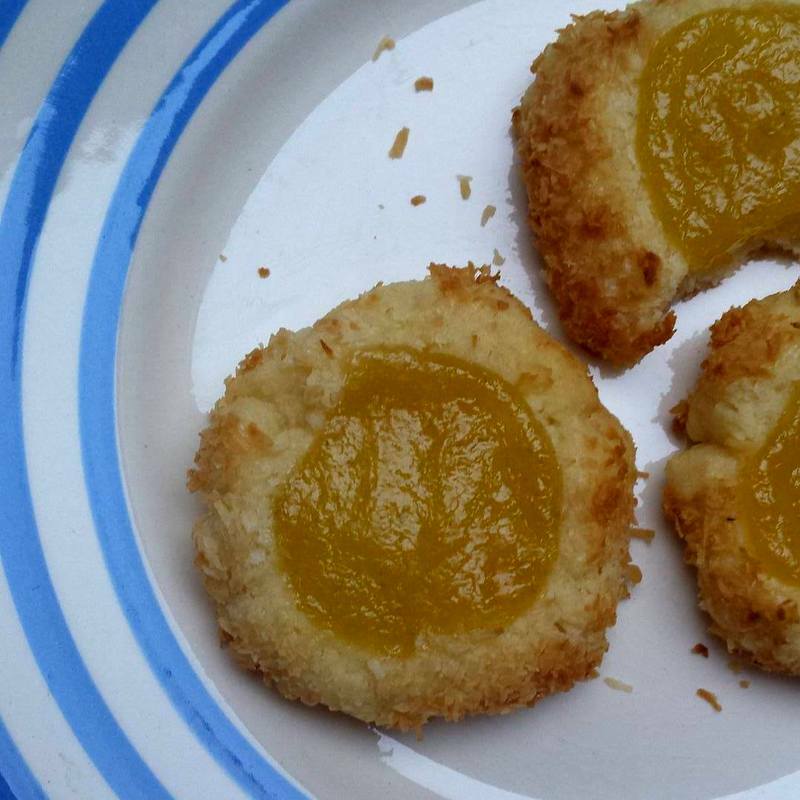 Let me preface this recipe by saying… these cookies aren’t very pretty. They sort of look like funky little fried eggs. And while I’ll choose flavour over frill any day of the week, I struggled a bit with coming to terms with their appearance. But, rustic look aside, they taste really great, and all of the batches I’ve made have disappeared in record time. 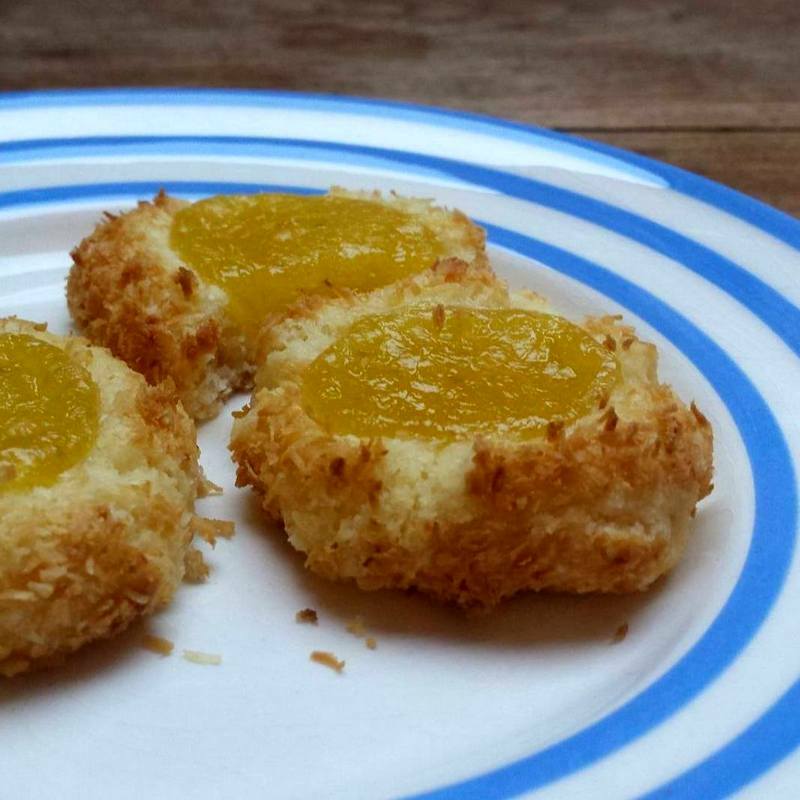 I’ve loved the coconut-citrus combo ever since I had some completely delicious little lemon and coconut cookies in a small Copenhagen café, about 5 years ago. I was in the last stages of thesis-writing, and, having just dropped my thesis off at the printers’, my nerves were frayed! No more proof-reading once the tome had been handed off to be bound, as I’d resigned my perfectionist self to not even taking a peek at it again once printed, for fear of finding some spelling mistake or who knows what, that would annoy me to death (or, at least, until my thesis defence, after which I’d most likely never give the whole thing another thought, ever again). So, about the cookies. I have such vivid memories of them, and the little café, right down to the froth on the cappuccino I consumed whilst waiting for the printers’ to do their thing. They were simple little shortbread kind of cookies, but softer, slightly chewier. Just such a lovely, zesty memory from the thesis-writing fog, one that seems to have kick-started an almost yearning in me for all things citrus and coconut. And tragically, I haven’t managed to find some like them ever again, or reproduce the shortbready-but still soft and ever so slightly chewy goodness that was those cookies. But I think these finally hit the spot, so much so that I’ve managed to get over the fact that they look a little odd. And although I think they’re great for all year round cookie consumption, the fact that they sort of look like eggs, or very strange little birds’ nests, is very fitting this time of year (Easter and all). 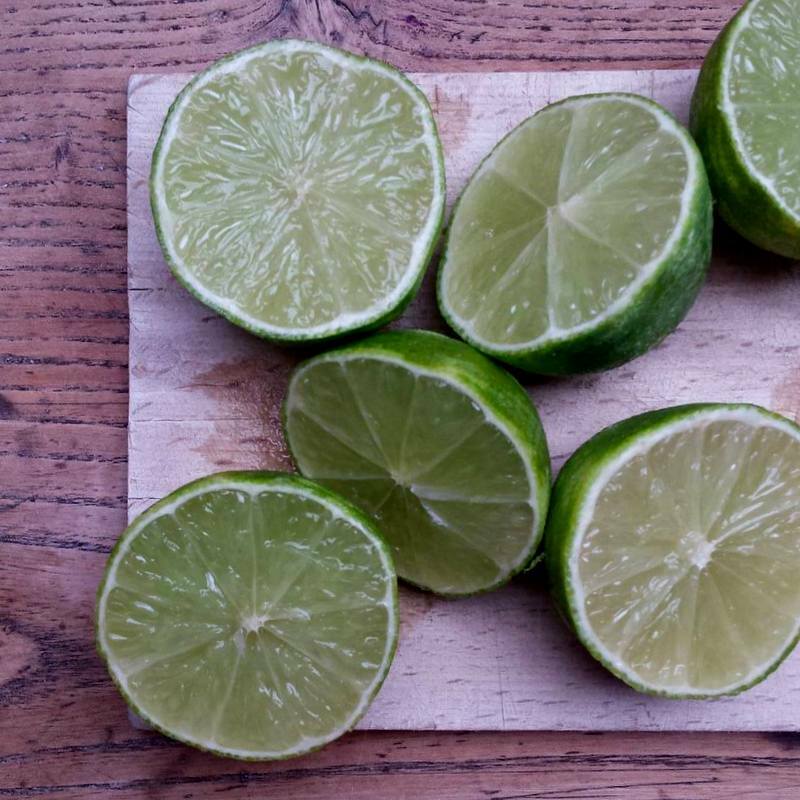 If making your own lime curd, begin by whisking together 1 large egg and the juice and zest of 2 limes in a small saucepan. Add 1/2 heaped tsp corn starch, 75 g sugar and 50 g cold butter, cubed, and begin to heat the mixture up over medium heat, whisking throughout, until the ingredients melt together and the mixture begins to thicken and simmer. Once the curd is beginning to thicken, turn the heat down to low, and leave to simmer for about 5 minutes, stirring once in a while. Transfer to a bowl, and leave to cool down while you make the cookie dough. 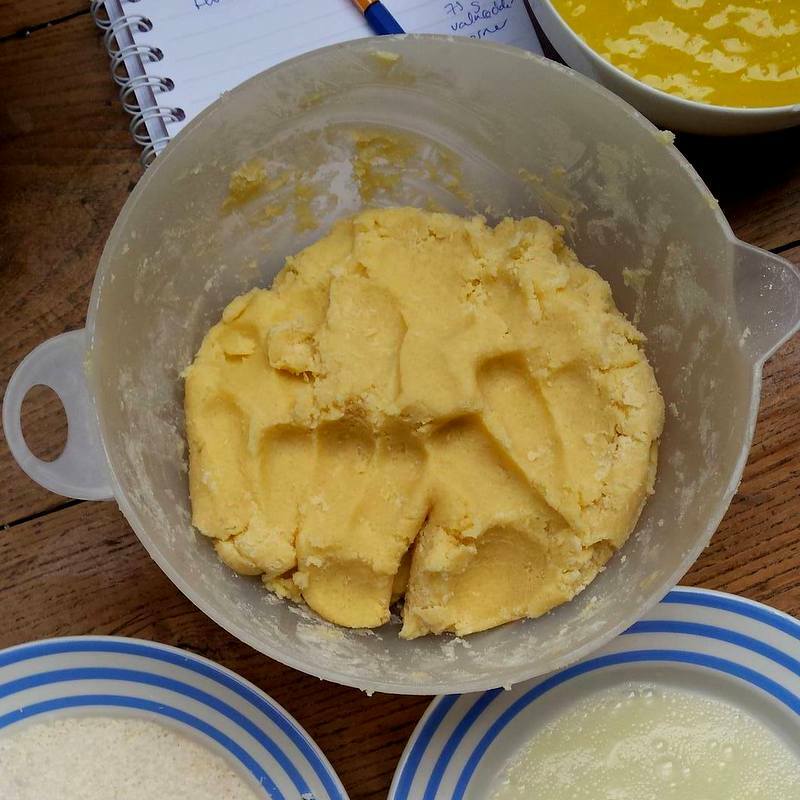 In a large bowl, mix together the softened butter, salt and sugar. A wooden spoon works just fine, provided your butter is soft enough. Add the flour a little at a time, until it’s all incorporated, but try not to over-mix. Preheat your oven to 175°C/350°F. In one large, shallow bowl, mix an egg white with 1 tbsp of water, to make an egg wash. In another large, shallow bowl, pour in your shredded coconut. Roll little half-walnut sized balls of dough between your hands, then dip into the egg wash, and roll in the coconut. 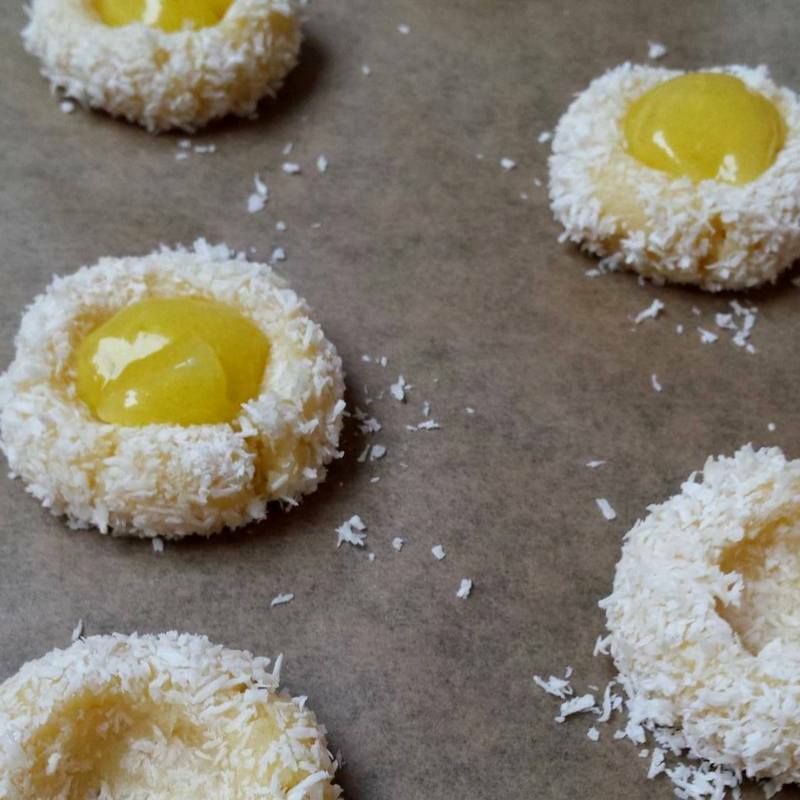 I prefer to do the dipping with one hand, to keep the other hand relatively clean for rolling purposes… 🙂 But it doesn’t matter much, if some egg wash and coconut from your fingers gets rolled into the cookie! Bake for 10-12 minutes, or until the coconut begins to get that nicely golden, toasted look. Leave to cool completely on the baking sheet, then transfer to a cookie tin/container.